Congratulations to Betz on her 10 year blogiversary! She’s throwing a cupcake party and I made this little stitchery for the dessert table. 2. Place the linen onto the muslin backing, design side up and center both pieces of fabric inside the hoop. Tighten. 3. Stitch the design through both layers using the red thread. 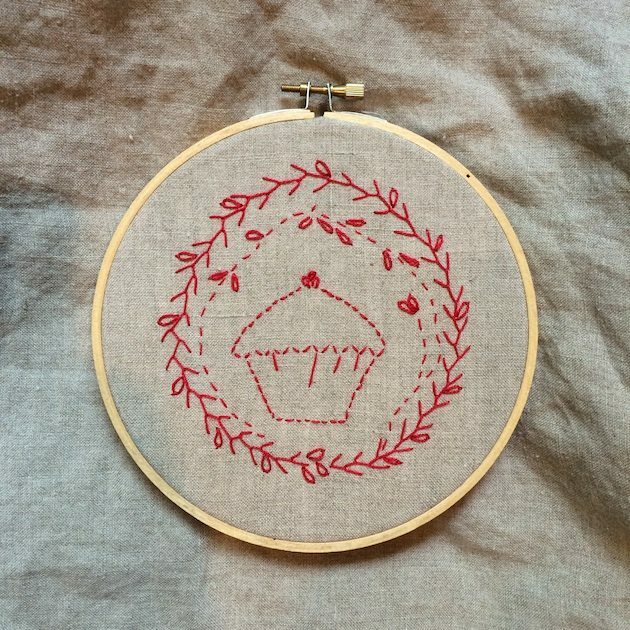 I began with the cupcake and the back-stitch. The outside vine is a feather stitch decorated with a daisy stitch here and there. The wonky inside circle is a running stitch with more of the daisy stitch decorations. * Either way, spritz the finished work with a fine mist of water allowing the marker lines disappear. – Remove the design and use as a pillow front. You could increase the size with a few strips of coordinating fabric to build it out, log cabin style. – Or you could keep it in the hoop and hang on the wall. Trim the un-hooped outer fabric edges to 1/2″ all around. Fold to the back and finish neatly with glue against the inside wall of the hoop. 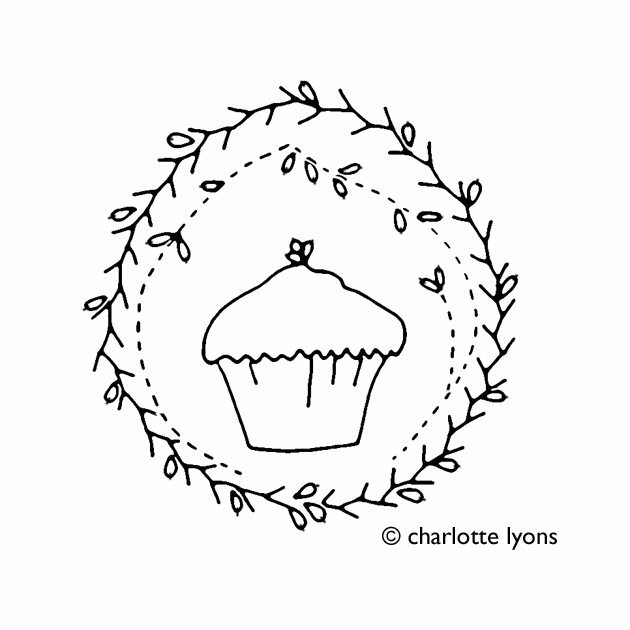 You can visit Charlotte’s Website, Blog and Etsy Shop to see what she’s up to!